There are plenty of Internet personalities out there with great life stories, but few are as inspiring as Michelle Phan, who went from being a struggling college student with a talent for executing stunning makeup transformations to a bonafide beauty guru with her own makeup brand to match. 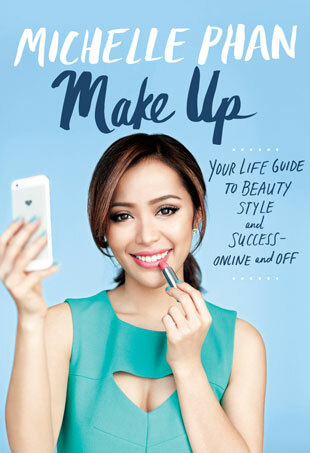 Phan is only 27, but she has a wealth of life experience which she outlines in her first book, Make Up: Your Life Guide to Beauty, Style and Success – Online and Off. Phan’s book outlines her rise to become one of the most influential beauty bloggers from a childhood she spent as the daughter of Vietnamese refugees who came to America in search of a better life. She grew up moving between the East and West Coasts as her parents struggled to make ends meet. Phan’s difficult childhood caused her to take refuge on Internet message boards, where she honed the beauty tutorial skills that would ultimately contribute to her success. But the book isn’t just about Phan’s impressive resume and accomplishments. It’s a collection of tips and tricks she’s picked up that readers can use in their everyday lives, no matter what their interests. Of course, as Phan is a makeup expert, the book is chock-full of beauty tips like how to finger-paint a smoky eye, do a DIY pedicure and how to concoct at-home hair treatments. In this digital and social media-focused landscape, the rules of engagement have changed and Phan’s book attempts to make sense of them. She doles out advice on texting etiquette, online arguments and building a compelling online presence – a feat she’s mastered as a vlogger. 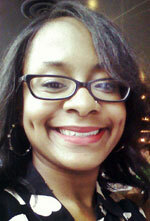 She gives tips on how to merge the personal with the professional without falling victim to the specter of oversharing. Real-life interactions are also covered in the book. There are chapters on how to land a job or internship, write a cover letter, and most importantly, how to turn your passion into a lucrative career – another topic on which Phan is an expert. The book is so much more than advice on how to look good at a wedding or how to write a thank-you note, it’s a guide to being your best, healthiest and most successful self. Phan mixes her personal story with advice and positive affirmations to construct a book that is just as layered as aspects of our own lives. It’s definitely a must-read, not just for fans of Phan, but for people looking for a little helpful guidance in life. Make Up is available now. 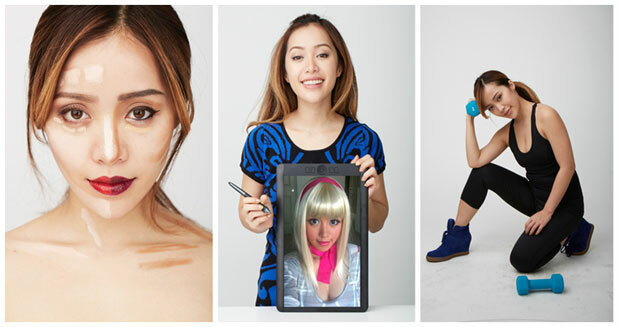 For more information or to purchase, visit michellephan.com.